Are your online training initiatives really paying off? Do employees get the skill-building resources they need to be productive on the job, or do they lack the motivation to achieve the learning objectives? In this article, I'll share the top 6 ways to improve learner engagement in your organization. The only way to impart knowledge and hone essential skills is to engage your corporate learners. Passive observers may receive the information but active participants absorb and assimilate the key takeaways. The quandary is how to create a connection with your corporate learners so that they get involved in the process. 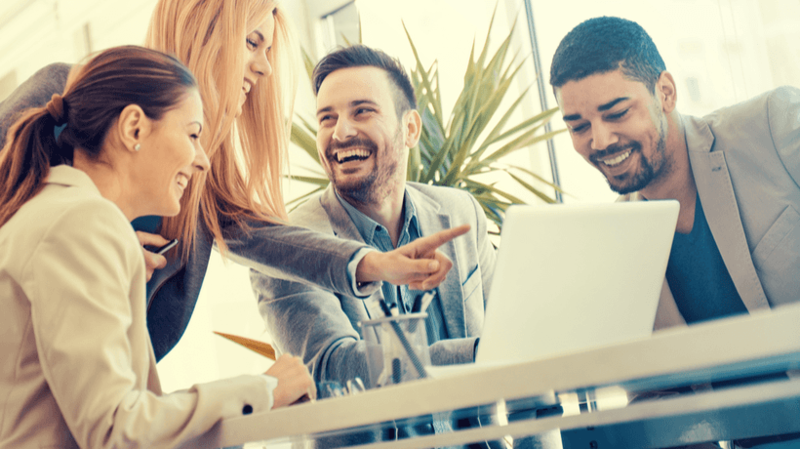 Here are 6 top tips to help you improve learner engagement and fuel employee motivation. Corporate learners need information that helps them accomplish a task or solve a problem. They aren't looking for an hour-long online training course that covers every compliance topic or work-related skill. Instead, online training must offer real-world experience and impart practical knowledge. Corporate learners have to relate to the subject matter in order to form a connection. Furthermore, it must address topics, tasks, and challenges they're currently dealing with. The recipe for engaging online training is realistic and relatable online training resources that help corporate learners at their moment of need. Gift cards may offer your corporate learners an incentive but they don't really lead to meaningful change. Corporate learners participate simply because there is a reward at stake, not because they want to achieve their goals and improve their proficiency levels. On the other hand, intangible incentives spark their interest until they find their own source of intrinsic motivation. Badges, leaderboards, unlockable levels, and points are just a few game mechanics to consider. These online training rewards give corporate learners the recognition they’re looking for and appeal to their competitive nature. Just make sure that you choose the right incentives for your audience. For example, a point-based system may not be enough to pique their interest but personalized badges and leaderboards get them back in the game. It is not difficult to add game mechanics to your online training course, as long as you opt for an eLearning authoring tool that features gamification templates. The most direct way to engage corporate learners in your organization is to give them what they want. Above all else, they want online training activities, tools, and resources that can help them continually improve. Not generic online training materials that only contain bits and pieces of valuable information. Bear in mind that corporate learners are usually pressed for time. They don't have room in their schedule to sort through an abundance of data. As such, they require self-paced online training paths that offer real-world benefits. Create a microlearning online training repository where they can find informative resources, or non-linear eLearning course maps that feature a broad range of online training activities, assessments, and modules. In addition, offer your corporate learners the ability to access your online training course from their mobile devices by using a responsive design LMS to make it multiplatform-friendly. Finally, let corporate learners develop their own online training plans based on personal performance and skill gaps. Social learning activities give everyone the personalized approach they need to achieve their goals. This makes the online training experience more engaging and beneficial for all parties involved. Social media groups, online discussions, blogs, and webinars are all great ways to foster social interactivity. Spark the online discussion by posting a question or prompt and invite corporate learners to offer their input. 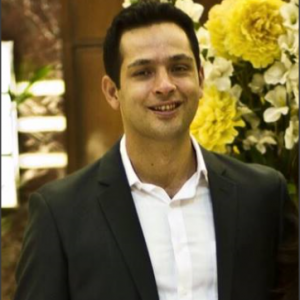 For instance, provide a link to a real-world example or case study, then encourage your corporate learners to reflect on the topic and share their unique perspective. You can also develop group collaboration projects wherein corporate learners must work together to solve the problem. For example, real-world mysteries they must solve together using their collective skills and knowledge. Project Management platforms and video conferencing tools will enable to communicate with each other from anywhere in the world. Enthusiasm and passion for knowledge is catchy. If corporate learners see that their managers, supervisors, and leaders are involved, they are more likely to follow by example. It requires more than just a pep talk and pasted-on smiles, though. Leaders must be genuinely enthusiastic about the online training program and all it has to offer. The question is how you engage your managers so that they can engage their subordinates. One of the most effective ways to encourage active participation is to be open and honest about your objectives. Let leaders know what to expect, what you expect from them, and how you can work together to achieve the desired results. They need to feel like they're an essential part of the process. Hold weekly or monthly webinars to keep them informed. Create an exclusive social media group or online discussion where they can share their experiences. Long-term learning goals can be daunting. They don't offer instant gratification, and some corporate learners may not even know where to begin. For this reason, you should encourage your corporate learners to create manageable milestones that allow them to track their progress. As an example, a corporate learner must complete a comprehensive online training course in order to receive their certification. That goal seems more attainable if you turn it into smaller sub-tasks and modules. The corporate learner can tackle one skill or activity at a time so that the desired outcome is always within reach. You can also integrate a progress bar or checklist in order to fuel their motivation. This gives corporate learners the power to see what they've already accomplished and what they still need to wrap up. Of course, you can track their progress too through the built-in reporting tools of your LMS and adjust your online training strategy to their individual needs, accordingly. There isn't an exact science for creating engaging and meaningful online training experiences. In fact, every corporate learner requires a slightly different approach, which is why it's important to research your audience and identify their needs, preferences, and expectations. You can also conduct surveys and focus groups to discover more about their interests and then incorporate them into your online training strategy. Getting to know your corporate learners allows you to connect with them on a personal level. Are you an eLearning professional looking to develop exceptional online training content? Request your free trial for Adobe’s stellar Captivate authoring tool, and craft content beyond imagination. 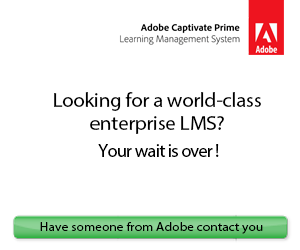 Also, don’t forget to ask for the Adobe's Captivate Prime Demo to witness the experience of one of the best Learning Management Systems in the market.